Some say it is located deep in New York State’s Adirondack Mountains. Others believe it is close enough to Germany’s famous Nurburgring to hear race engines echoing through the Eifel forests. 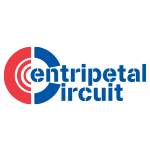 We all know it’s called Centripetal Circuit – and it’s available to all iRacing members FREE. Without divulging too much, we can say that Centripetal Circuit is a perfectly flat, perfectly round, 200-meter skid pad with lane markers placed concentrically every 10 meters. And it is an invaluable tool both for driver training and for chassis turning. Work on your car-control skills, or dial in your set up on a particular car – or just drive around in circles to see how long you can maintain a power slide! We guarantee that you won’t have to worry about spy photographers or the prying eyes of the competition whenever you visit this hidden gem of automotive research. Centripetal Circuit (pictured above) is a perfectly flat, perfectly round, 200-meter skid pad with lane markers placed concentrically every 10 meters. It is an invaluable tool for both driver training and for chassis tuning.